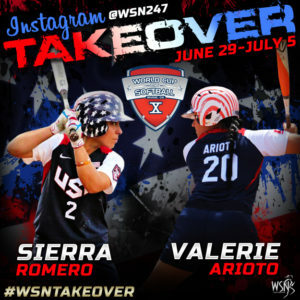 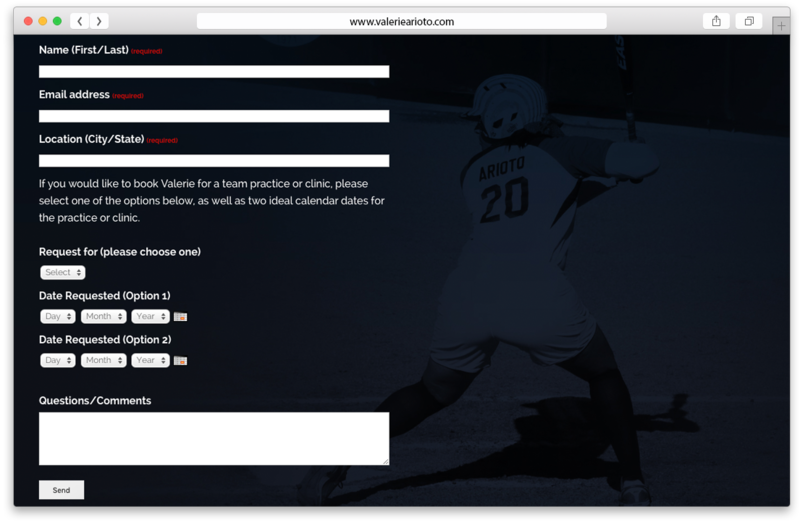 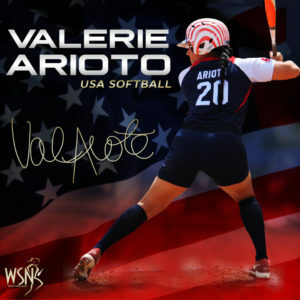 Valerie Arioto is softball clinician and current member of the U.S. Women’s National Softball Team. 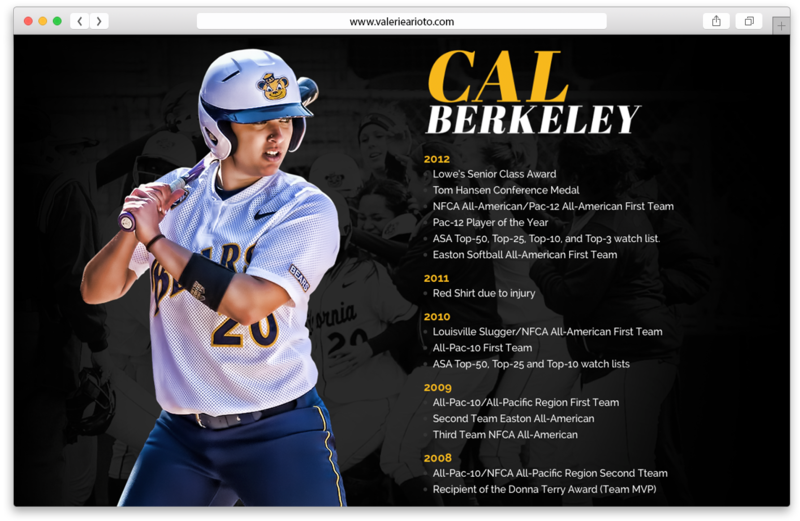 During her final season at the University of California Berkeley (2012), Valerie was a First Team NFCA All-American, Pac-12 Player of the Year, First Team All-Pac-12, as well as the Lowe’s Senior CLASS Award Winner. 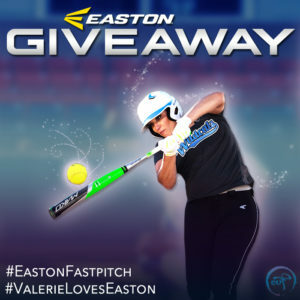 In March 2015, Valerie will be playing in her first professional season in the Japan Softball League. 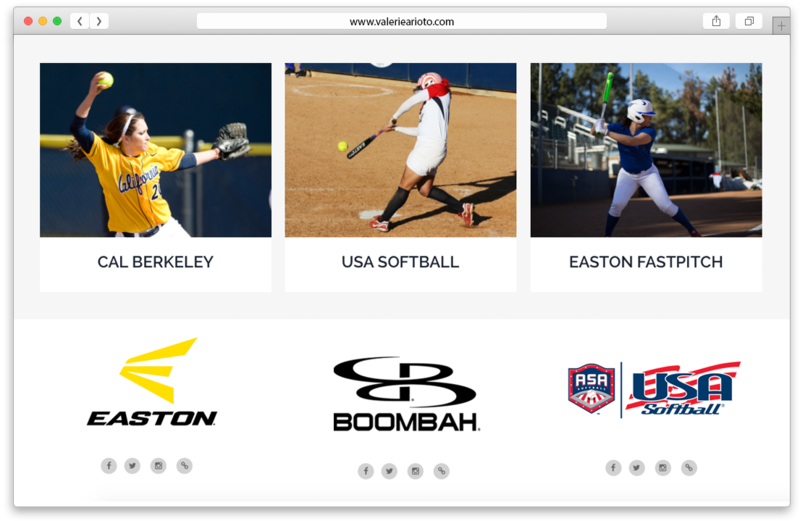 Logo, Website, Social Media Images.